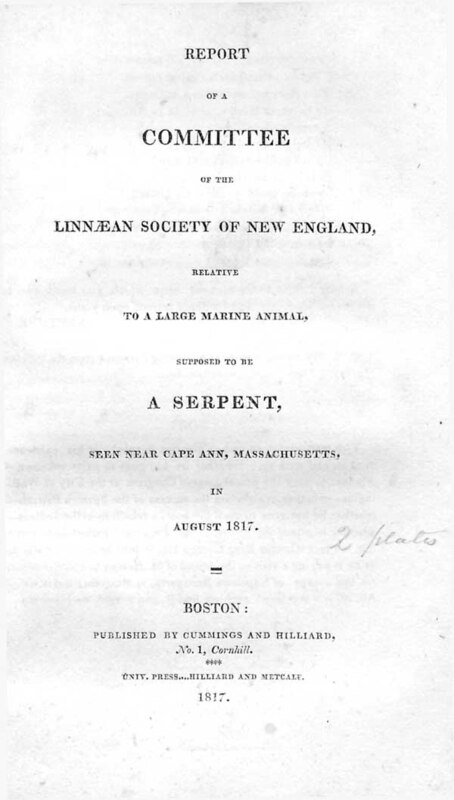 “In the month of August 1817, it was currently reported…that an animal of very singular appearance had been recently seen in the harbour of Gloucester, Cape Ann, about thirty miles from Boston. It was said to resemble a serpent in general form and motions, to be of immense size, and move with wonderful rapidity; to appear on the surface of the water only in calm and bright weather; and to seem jointed…”; I was hooked! 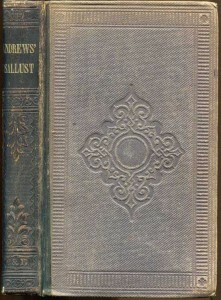 Then came some first-hand accounts of the creature; the voices of the men came alive in their words: “…between 80 and 90 feet in length…” (Solomon Allen, 3rd); “…his head appeared to be shaped like a sea turtle…” (Amos Story); “I saw him open his mouth, and his mouth appeared like that of a serpent; the top of the head appeared to be flat” (Epes Ellery); “…I supposed, and do believe the whole belly was nearly white” (Nathan Gaffney). 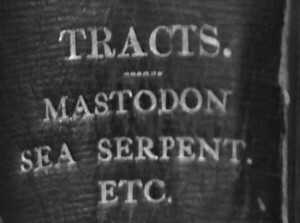 All that ran through my mind was “Could it be true?” as I read the depositions the taken by the Linnaean Society members. 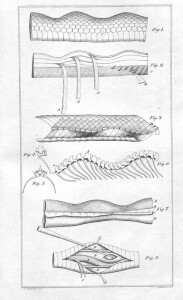 It seemed the “sea serpent” was very much like what is now known as a sea snake, and in the end, according to the report, a smaller version that was referenced in the pamphlet as being the “progeny” of the considerably larger, first sighted creature, was killed in Cape Ann and later dissected. 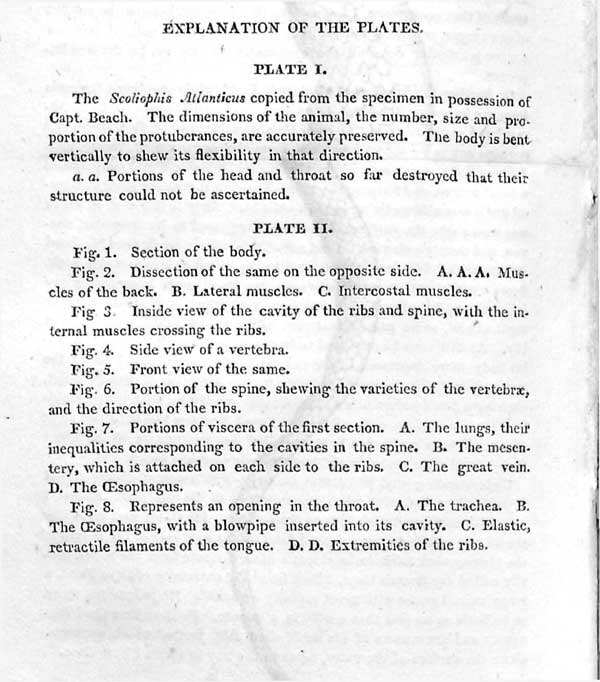 Included in the pamphlet was an illustration of the drawings made at the time of dissection. 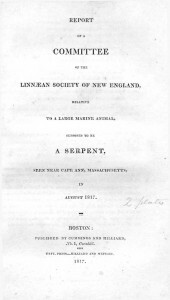 For the Linnaean Society of New England, this must have been an incredible discovery; up to that time I’m sure that there had been nothing like a sea snake seen on the New England Coast before: “In consequence of these reports, at a meeting of the Linnaean Society of New England, holden at Boston…a committee [was appointed] to collect evidence with regard to the existence and appearance of any such animal” and the pamphlet was the result of the report by that committee. In fact, sea snakes aren’t common in New England; their primary home is in the warm waters around Australia. 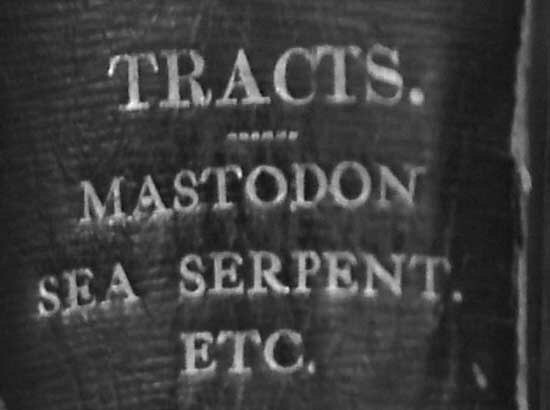 However, the Cape Ann area is where the first American “sea serpent” was reported—in the 1630s! The early 19th century was still a time of discovery, and with men living on the sea as they did—particularly in Gloucester and Cape Ann, the sighting of an animal of this size and nature, a creature never seen before in their nets, would certainly cause concern. 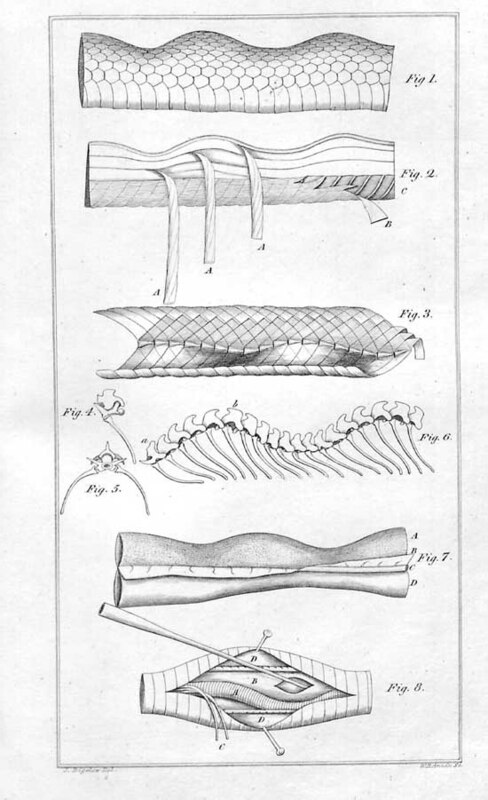 One of my first thoughts was that this unfortunate snake got caught in one of their nets and was pulled out of its natural habitat…but then how to account for the length of the snake? The witnesses claimed that it was 80 to 90 feet long and that the head was the size of a barrel. While doing research for my pictorial history, Images of America: Ellington, I learned that that Yanosuke Iwasaki, the second president of the Mitsubishi Corporation, had attended Hall’s school in the early 1870s, about ten years after Elisha Stanley. I also discovered that Mitsubishi was unaware of the Ellington connection. I contacted Seiichi Narita, the historian of the Mitsubishi Corporation in Tokyo by email. Our correspondence led to a visit by Narita to Ellington in August 2005 to confirm Iwasaki’s attendance at the school. Iwasaki’s brother Yataro wanted to prepare his younger brother for what he saw as a developing global economy by studying in the United States and learning English. 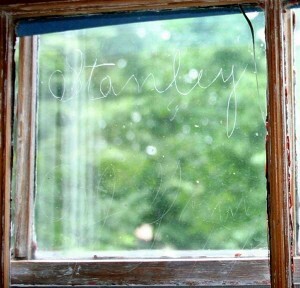 Narita and I visited the home that had housed the classrooms of the Hall School. 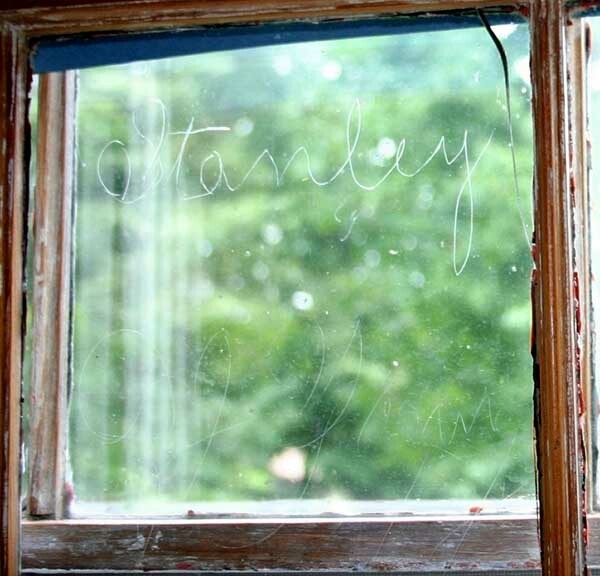 Elisha Stanley had scratched his initials and name in script on windows in one of his classrooms, and they are still there! I found it in the Watkinson! This blog will be dedicated to “guest” bloggers–students, faculty, staff, alumni, and others who find things in the Watkinson that they just can’t keep quiet about. 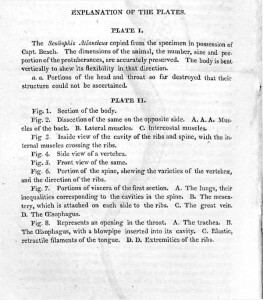 Anyone is welcome to send me (Richard.Ring@trincoll.edu) a write-up of something they have discovered while working with Watkinson materials, and I’ll proof and post it as soon as possible (I reserve the right to edit all posts; if a contributor objects to the edits, I can remove the post). Comments Off on I found it in the Watkinson! You are currently browsing the I Found It at the Watkinson! 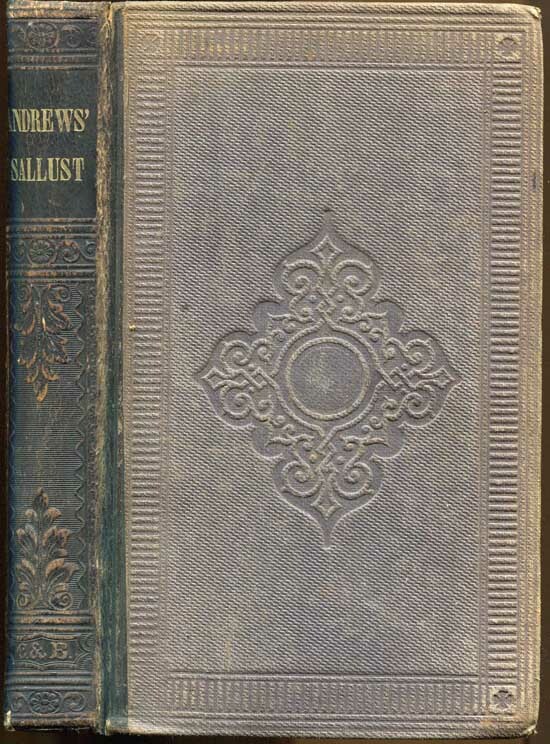 blog archives for August, 2010.